Planning a full day adventure wedding in Iceland has a lot of moving parts. And although our team plans each detail thoroughly, you may want the extra assurance of having someone there as literally your personal assistant and playing host to your guests. 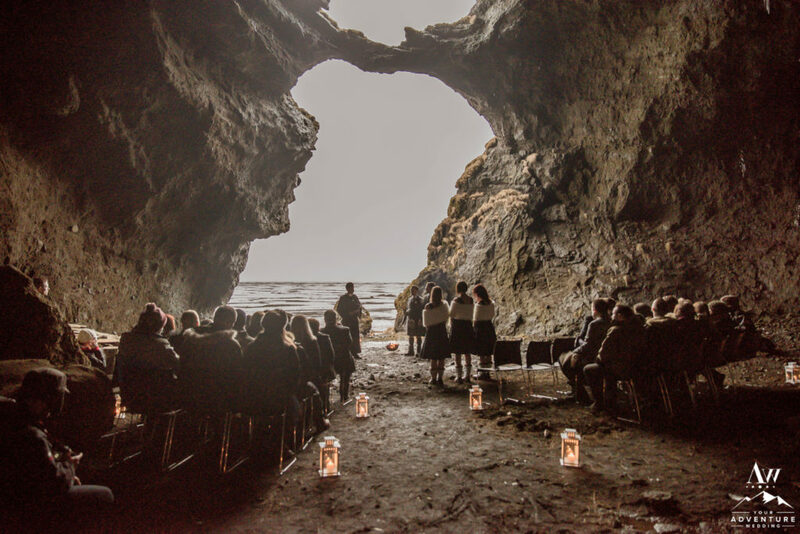 We actually require an day of planner for your Iceland wedding adventure, once your guest list grows beyond 25 people. Mainly to ensure flawless success from start to finish! 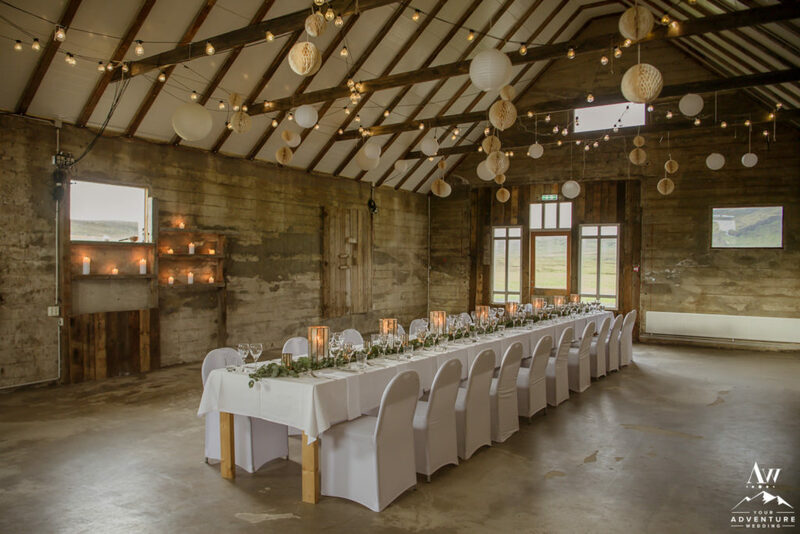 So today we would like to walk you through why you should consider adding on an Iceland Wedding Day of Planner to your adventure. 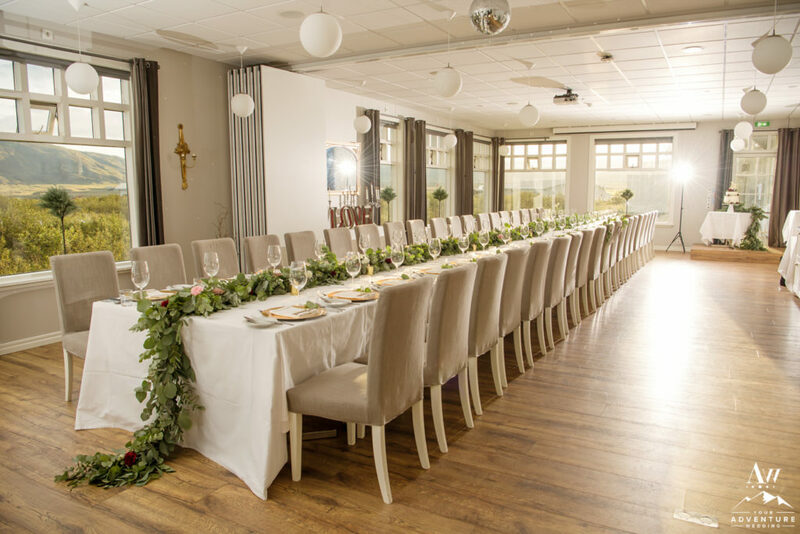 Even if you do not work with our Iceland Wedding Planner team, you should consider hiring a day of coordinator. Why? 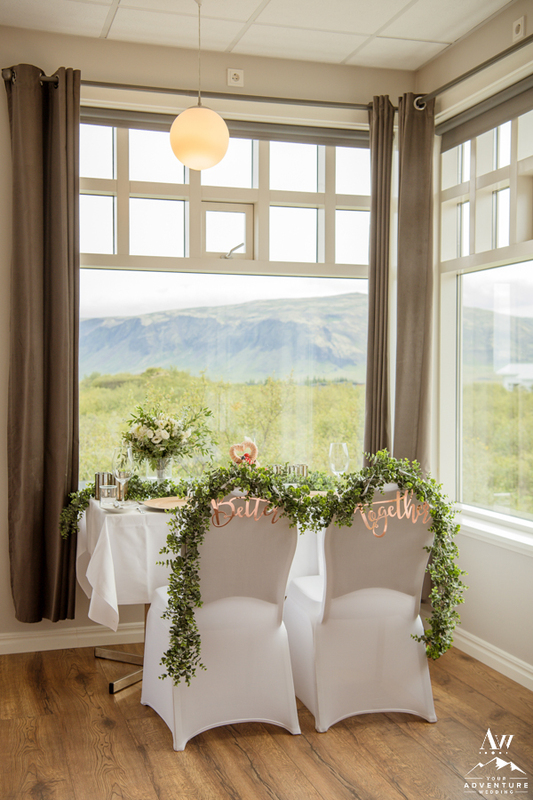 Because if you are having an Iceland wedding with guests, you want your day to go smooth whether you planned yourself or with a planner, right?! Plus, if you’ve never been to Iceland and do not planning on visiting before your wedding day, it is good to have a local with you to cultivate connections, handle errands, provide recommendations, and aid in “plan b, c, d” situations as needed, etc. Endless list of things that planner in Iceland could handle, truly! 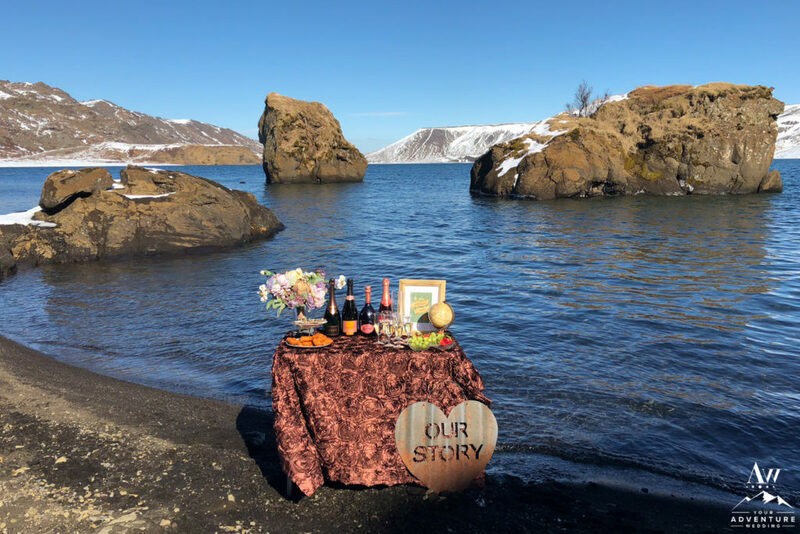 Unfortunately, unless we have mutually decided to work together, planning your Iceland elopement package or adventurous wedding day, our team does not offer a-la cart services. However, many other Iceland wedding planners do such as IWAH. Typically a Day of Planner in Iceland offers different options for packages and time frames. Meaning, you can hire the person to just handle the ceremony, half day or full day, and even just the Iceland wedding reception decor. 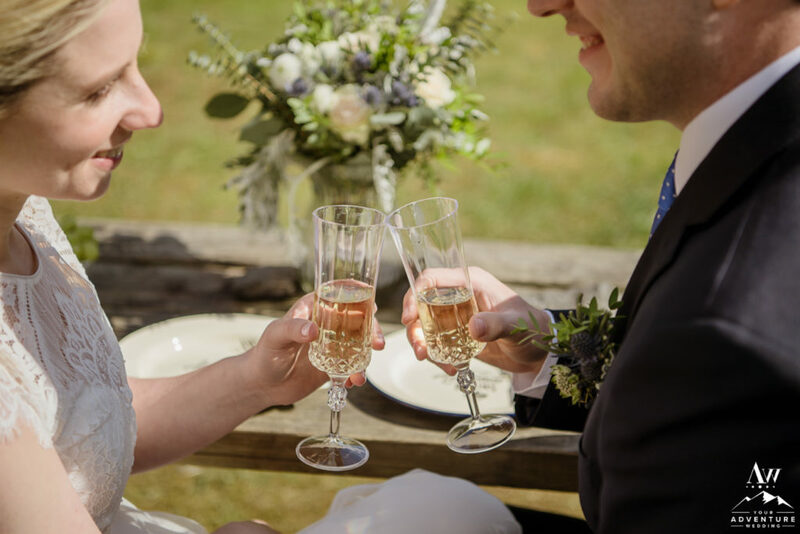 Then depending on the scope of your day (due to group size, ceremony, schedule, and reception decor), the duties of a Iceland wedding day of planner would vary. 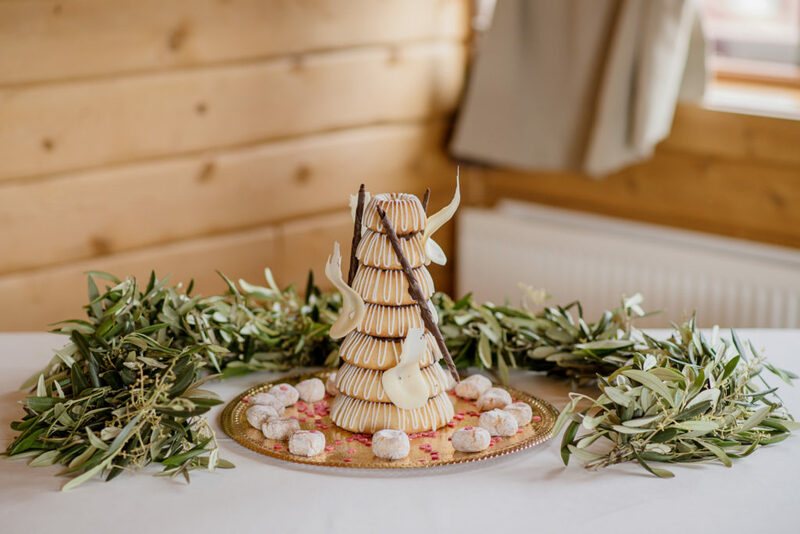 Adding on a Iceland wedding day of planner can allow you to be more hands off, especially if you are going a traditional wedding in Iceland route. For example, you could book a planner to run the night before festivities. Meaning if you are having a traditional church wedding he/she could organize the rehearsal of the ceremony (with or without the Priest). This ensures the ceremony will be flawless if wanting to have a processional and recessional. 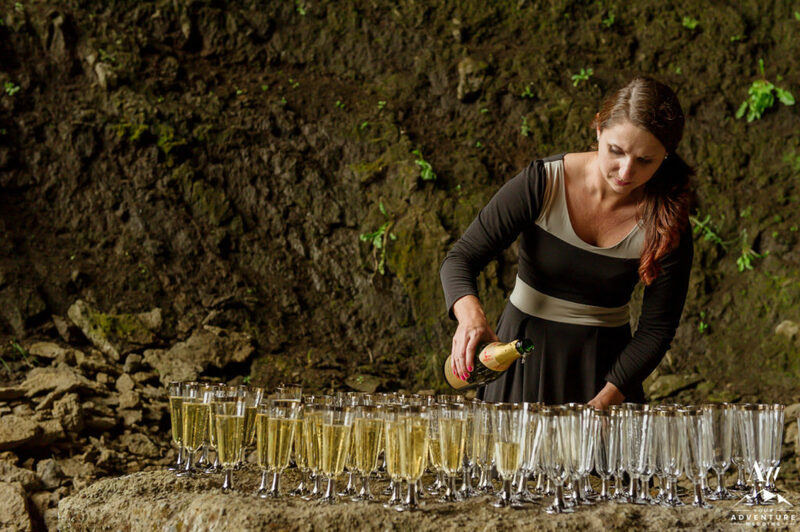 Following, the Iceland wedding planner, can do introductions and announcements at the welcome dinner. 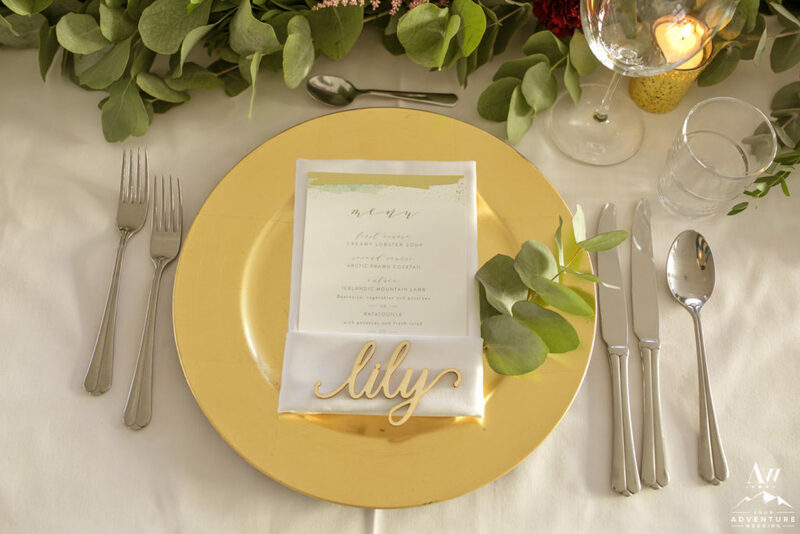 Giving your guests the opportunity to then see who they can turn to if they need anything throughout wedding events. 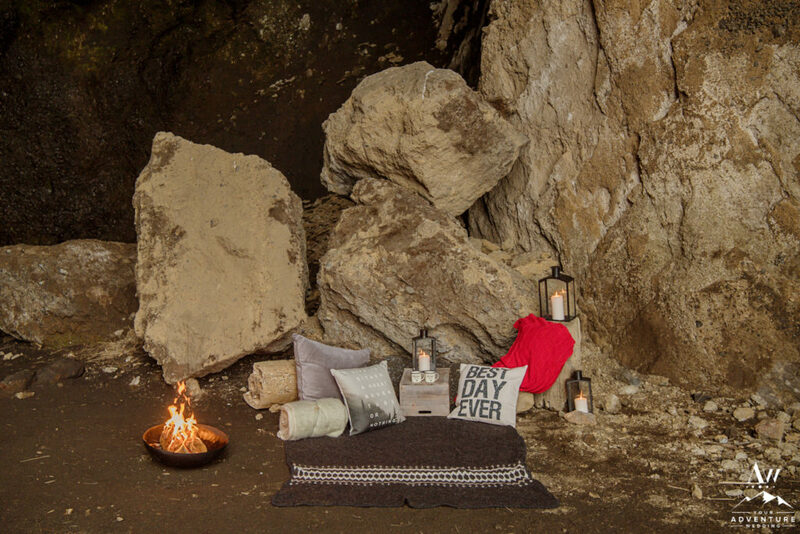 The night before or morning of, a day of planner for your wedding in Iceland can deliver “welcome bags” to your guests, if you so choose to make or provide. 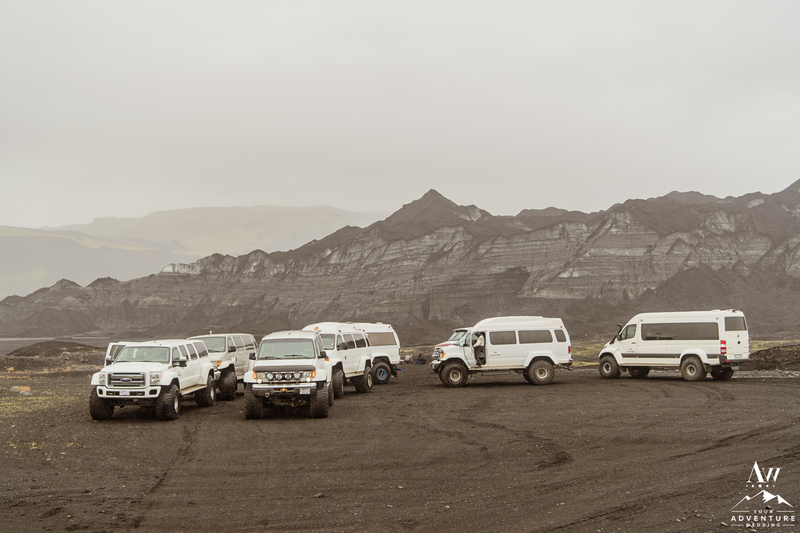 A day of wedding coordinator in Iceland would make everyone is loaded into the bus or super jeeps as well by verifying counts. Before the ceremony begins, the day of planner can help with seating guests (if no ushers). During the Iceland wedding ceremony in a church, the day of planner may start and stop music, cue the processional, close and open the doors for the brides entrance too. And once the ceremony concludes, if your wedding photographer is timid than your Iceland wedding day of planner can be the driving force behind organizing family groupings of photos. Another key point and primary duty for a Iceland day of wedding coordinator is to keep the day on time. 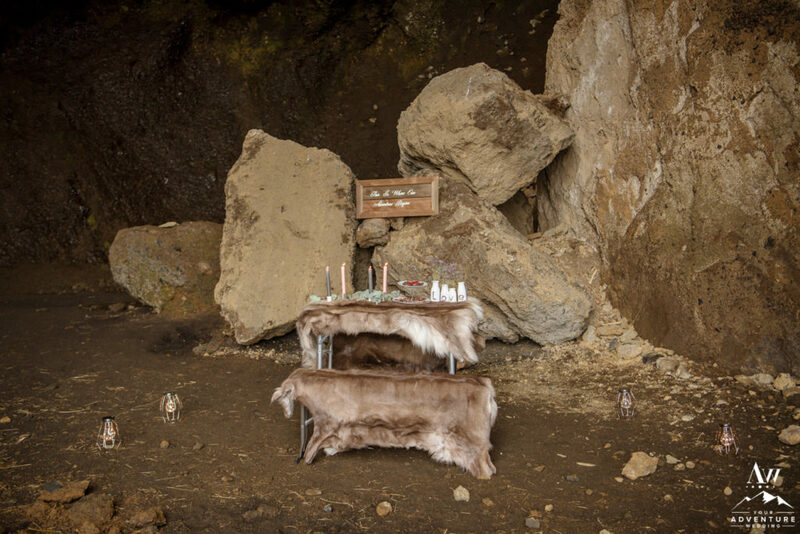 If having a traditional bus wedding to tourist or slightly offbeat Iceland wedding locations, than he/she could provide additional history on the island or share folklore stories. 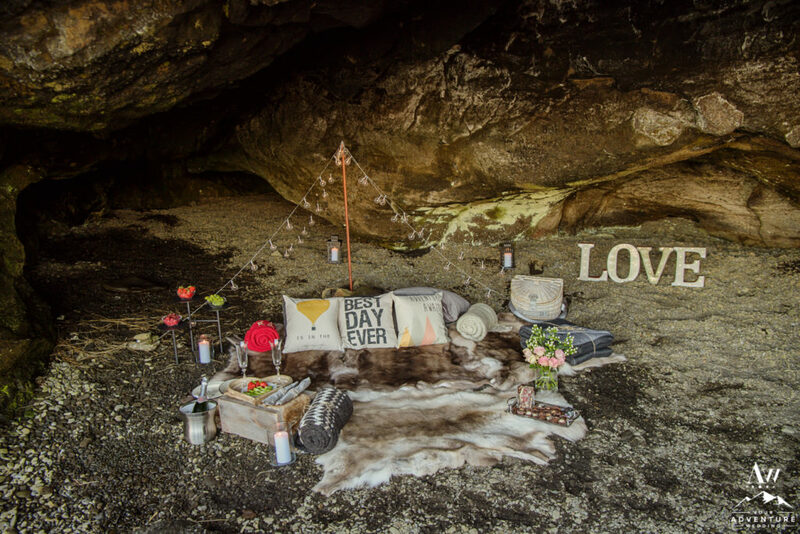 This feature alone could amp up the experience part of your adventure wedding in Iceland! Imagine waking up the morning of your wedding day and as your hair and makeup team begin, your Iceland wedding day of planner arrives. She will likely arrive with a big freaking smile, your bridal bouquet in hand, and ready to grab your breakfast of coffee order. Once you have exactly what you want for breakfast, your photographers and Iceland wedding video teams are all good and ready for the day the day of planner will move on to other duties. Gathering items you wish to load into the bus or super jeeps. Putting it into the mode of transport too. Filling coolers with ice for the adventure wedding day and getting it loaded too! Reminding you to pack in your “go bag” your marriage license paperwork, rings, and vows before you leave your hotel room. 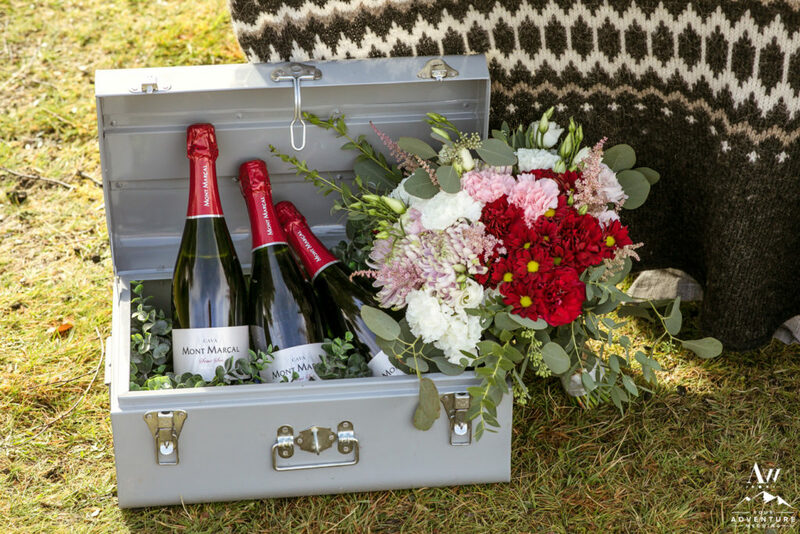 Make certain your guests have their “go bags” ready for the adventure wedding day and are prepared no matter what the weather brings! Loading your guests into the bus or super jeeps. Verifying counts of people and / or assigned seating if needed. Having our extensive Iceland Wedding Planner “go bag” easily accessible if you or your guests need anything you forgot! Setting up the Iceland wedding ceremony location. An arch, flowers, or seating? 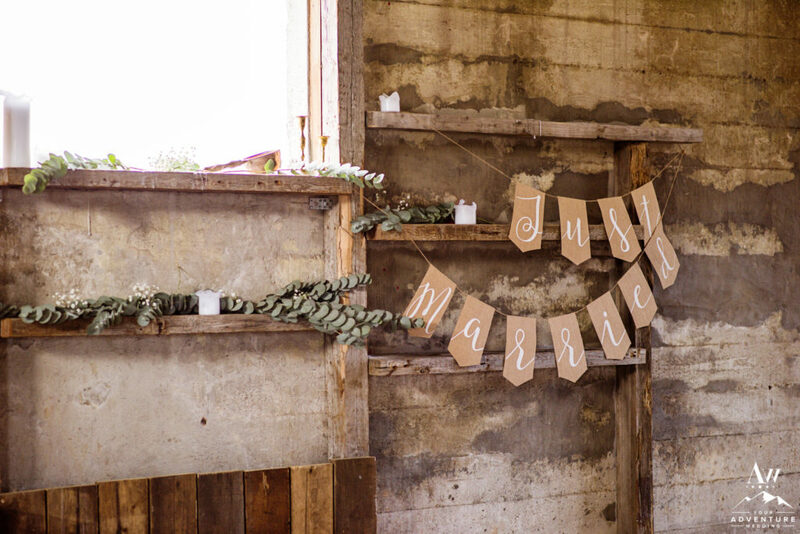 Helping guests find their seat or dividing guests into 2 groups to craft an aisle way. 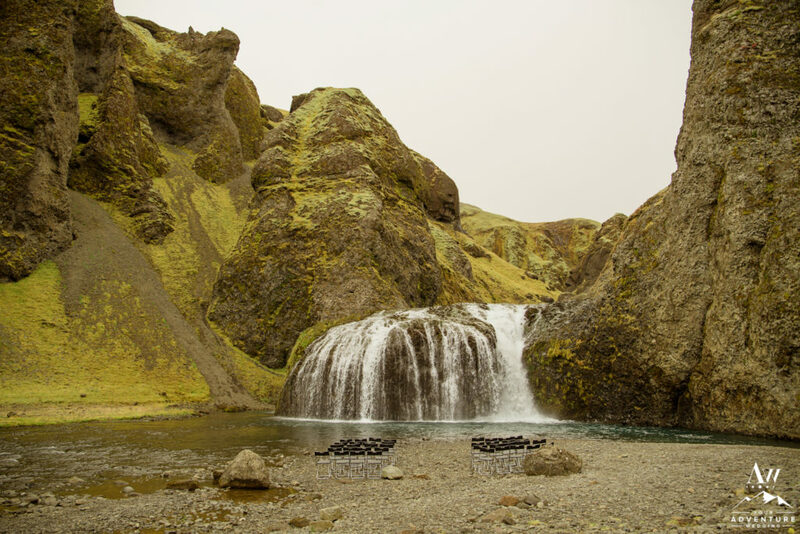 Handling the sound system and microphone at your Iceland waterfall wedding ceremony. Cuing entrance and exit music. Organizing everyone for a group photo after the ceremony. Assisting the photographers in formal portrait posing. Being available to any guests for questions or if they need anything. Keeping to the Iceland wedding day schedule. Tearing down the Iceland wedding rentals. Making sure no one leaves behind any items. 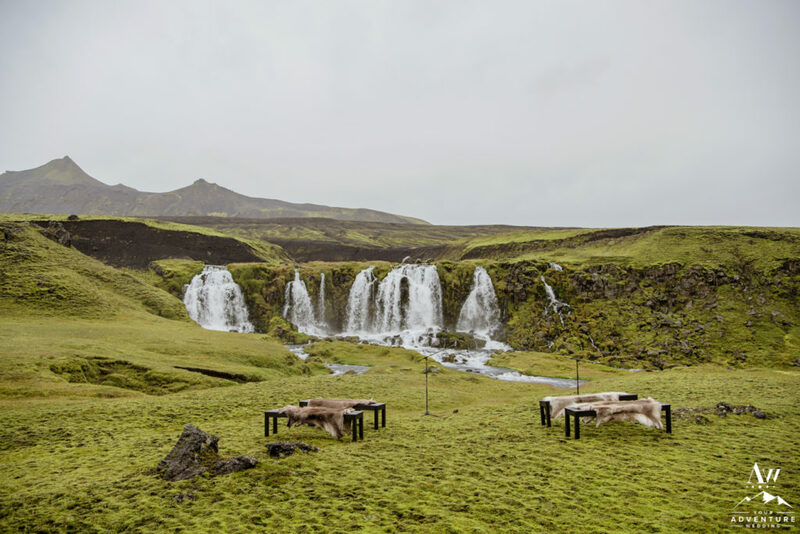 Generally speaking, our Iceland Wedding Planner private locations are remote and do not come with creature comforts many of the tourist locations have. 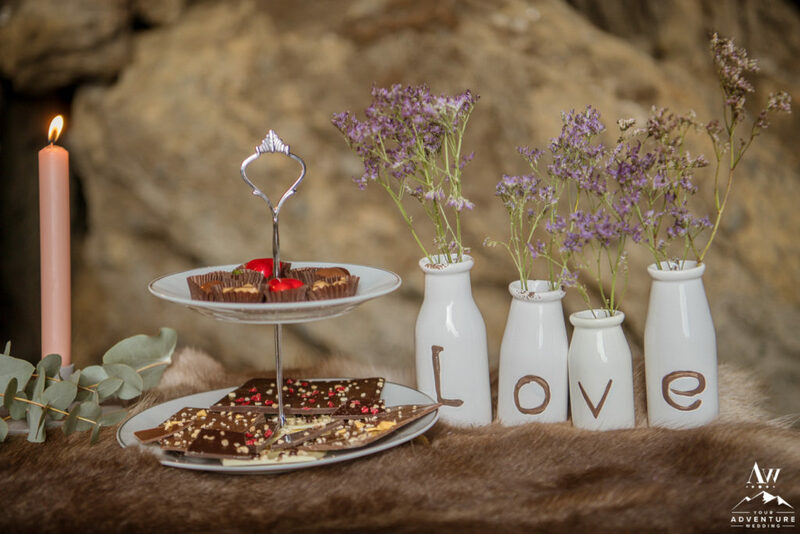 As a matter of fact, the majority of our adventurous couples add on an Iceland wedding day of planner to make those little luxuries possible flawlessly. In particular, having a private porta potty at every location is a comfort your Iceland wedding guests will truly appreciate. Especially knowing that it is tended to at every stop as well. 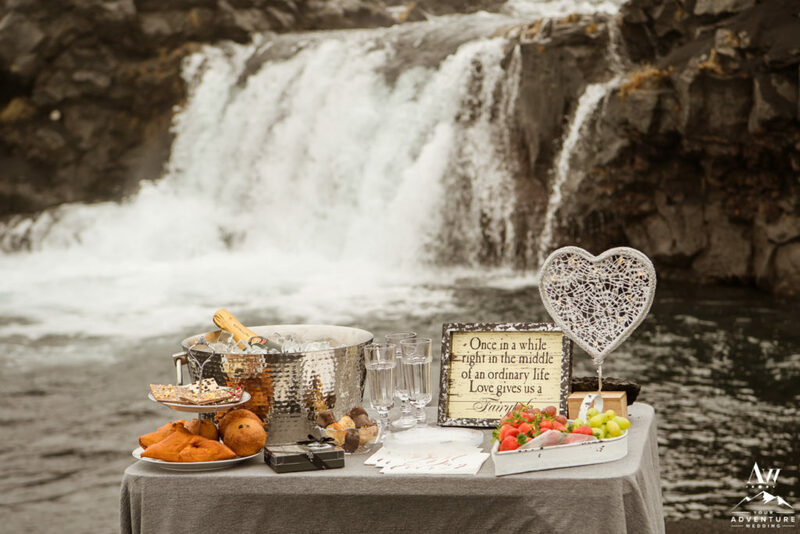 Adding a bit of luxury to your wedding adventure in Iceland can be an impressive thing to share with your guests. 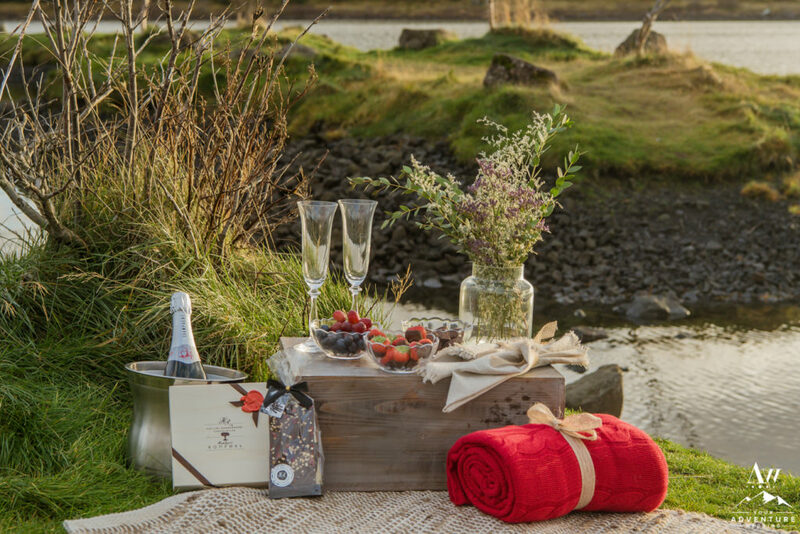 For example, day of planner in Iceland would take the lead in setting up a styled champagne toast with real glasses, fruit, artisan Icelandic chocolates. 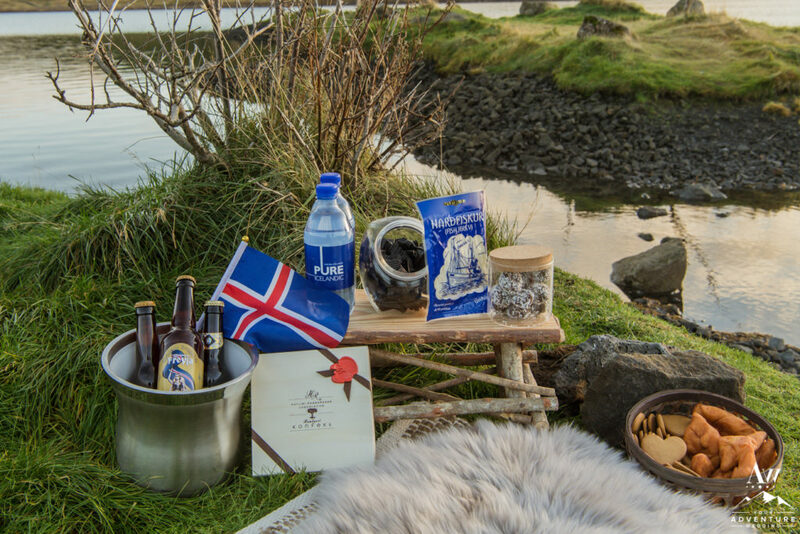 Or even run an Icelandic beer tasting educating your guests on the different brews we have happening here. 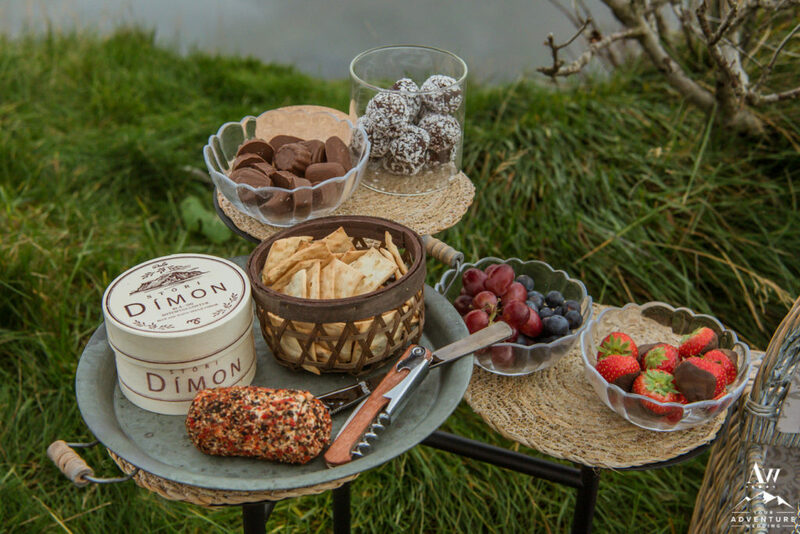 Other experiences during the day could also be organizing a luxury picnic, traditional hot dog BBQ or having your group try Icelandic meat soup for lunch! Our adventurous locations can be quite intense. 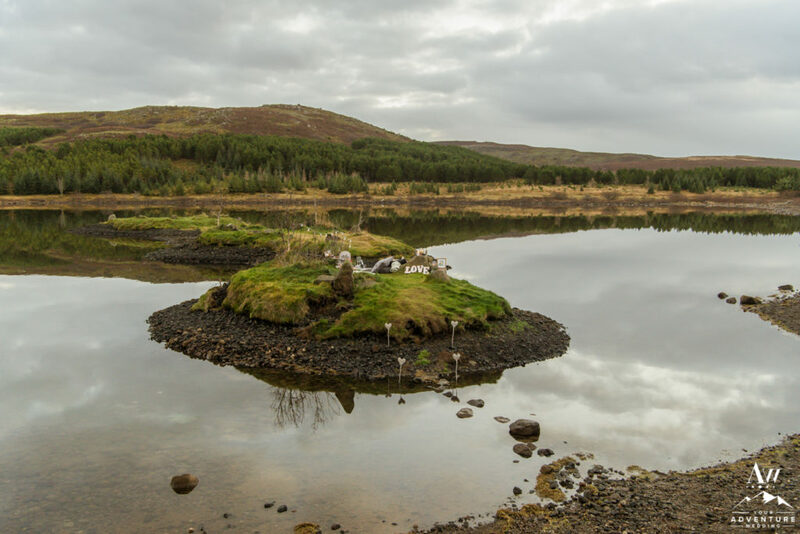 An Iceland wedding day of planner is also there to ensure safety and care of your guests. 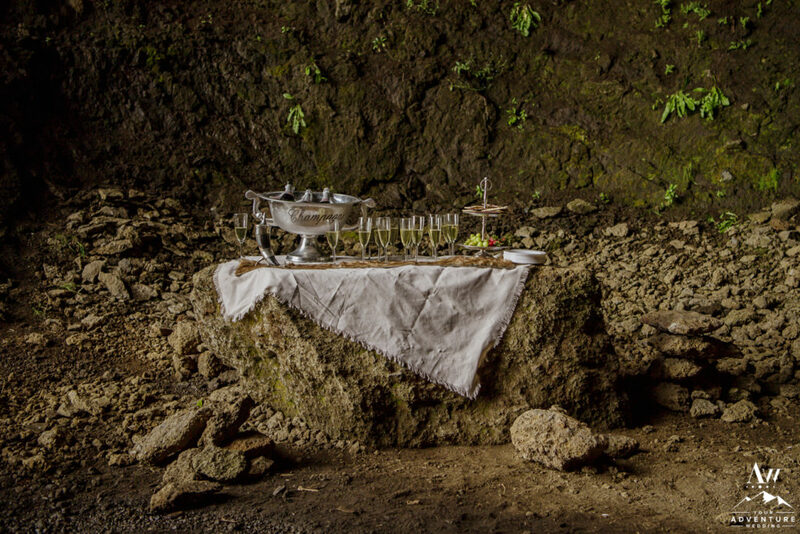 To illustrate, she may stand in the water to help your guests across a rock bridge to go explore a unique natural cave. Or if one of your little guests falls down and needs a band-aid she right there with our first aid kit out of our go bag. The duties are endless, but the fact there is someone there and designated to handle any need or situation that could come up is reassuring, right? 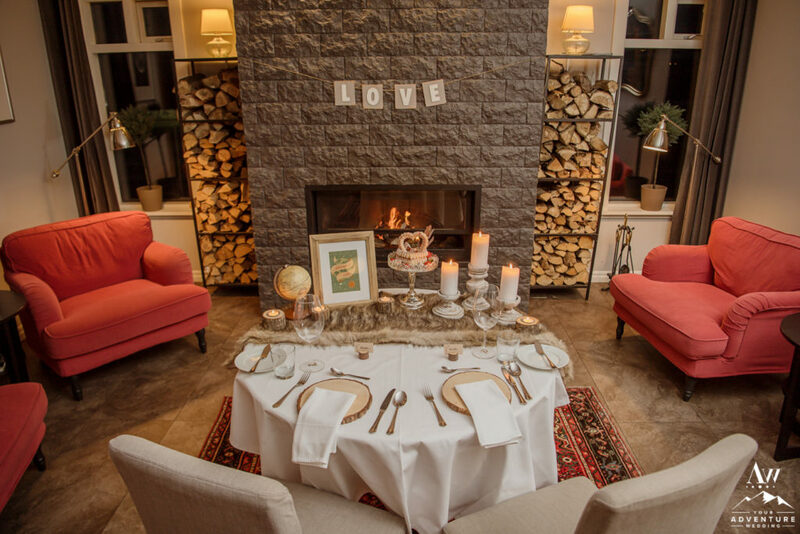 Planning an Iceland wedding reception can range from having a simple dinner in a restaurant to elaborately styled private dining. And good news! 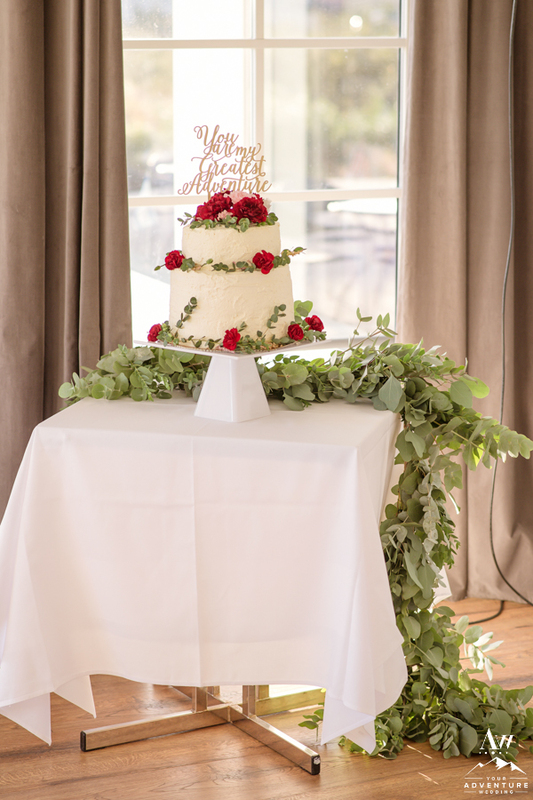 Our team has a talented stylist on staff to craft incredible magic for your reception decor. 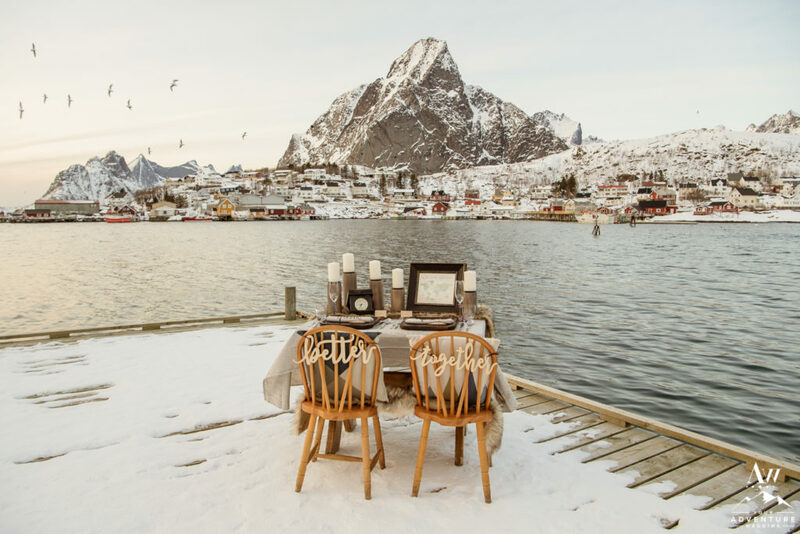 But know, if the design elements are not too extensive an Iceland wedding day of planner could potentially also handle the setup and tear down of simple rental decor. 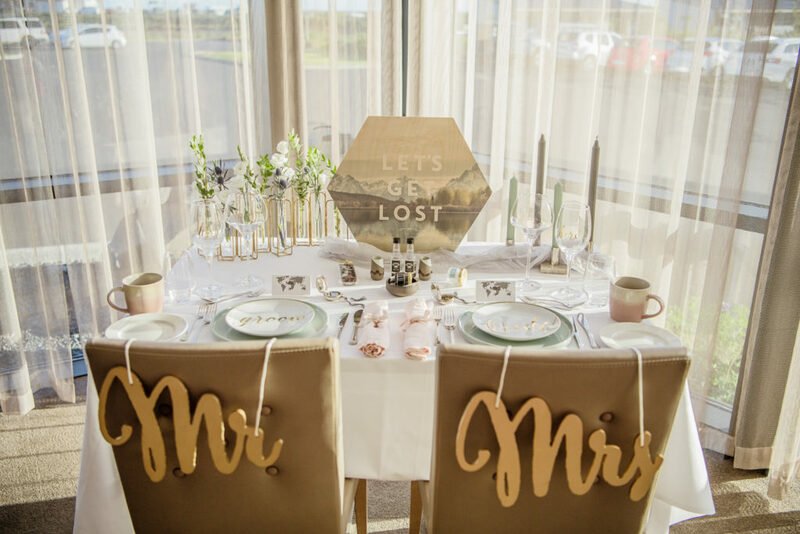 How fabulous would it be to have a perfectly styled table for two during your Iceland elopement or an elegantly styled table for your 40+ Iceland wedding reception with guests?! Beyond the needs for decor an Iceland day of wedding coordinator could handle announcements and explanations throughout the night. In other words, at arrival the day of planner can greet each guest and inform them of what you are or are not providing at the bar. Announcing things like speeches, dances, the tradition surrounding an Iceland wedding cake, or that there are Northern Lights dancing outside! 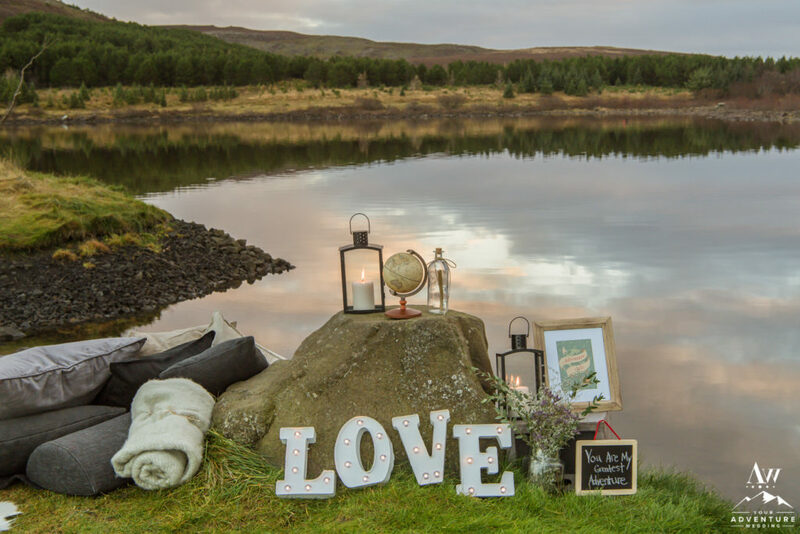 Love the idea of adding on an Iceland Wedding Day of Planner? 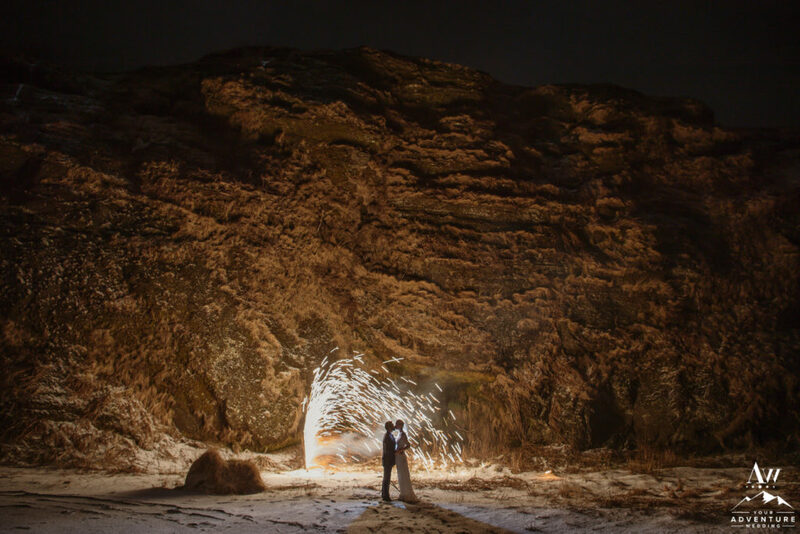 We would love to hear from you and potentially begin planning your adventurous wedding or elopement in Iceland! Feel free to contact us for more information!